I've helped hundreds of people, mostly college students, recover from eating disorders over my years as a Registered Dietitian. But I can only reach so many people one-to-one. I started thinking of the patterns I saw over and over again, and the tactics I have seen work on the majority of them. These can help more than just the people I work with in my office! The book idea was born! "Permission To Eat" is my self-help style eating disorder recovery book that needs your help to finally get published. I have the first draft completely done (over 40K words - that's in the ballpark of 200 pages), with the help of a fantastic writing coach who has been keeping me on-track and organizing my writing when it needs to move to another section or doesn't make sense. 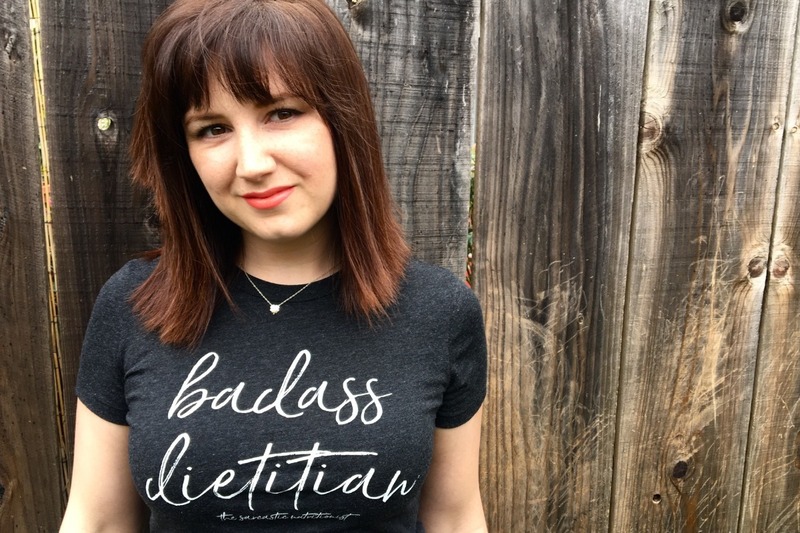 "Permission To Eat" will give college students (specifically, but it will be applicable to anyone with disordered eating) the specific tools to break up with their disorder, knowledge of medical complications & what to tell medical professionals, and hope for full recovery, in a conversational (rather than dry text-book) and uplifting way (think "You Are A Badass" style). I did my best to make it gender-inclusive (I work with a lot of LGBTQ+ clients), and "health at every size" informed, as that is an important message for everyone - you are worthy of loving and taking care of your body regardless of your size, or anything else! There is still a lot of expense to go to self-publish "Permission To Eat" and get it into your hands. As you can see, self-publishing is an expensive process. Why am I doing this rather than seeking a publisher? Times are changing. Getting a publishing contract as an unknown author is harder than ever! More importantly, by self-publishing, I maintain the copyright on my work and can make sure that the science-based messaging I want to get out to you can be told the way I want. I've hired an editor and turn my manuscript into them no later than February 18th. My goal is to publish this by the end of June 2019, and the faster we raise the funds, the faster it can get into your hands! For your financial help, I have some thank you gifts! LEVEL 2) $16-$49: Level 1, plus ebook version of "Permission To Eat"
LEVE 3) $50-$99: Levels 1 & 2, plus a paperback copy. LEVEL 4) $100-$199: Levels 1 & 2, plus a signed paperback copy, and a personal note from me to you (or whomever you want it made out to). LEVEL 5) $200-$499: Levels 1, 2 & 4, plus an invite to the book launch party for you and a friend, in June (details TBD). LEVEL 6) $500-$699: Levels 1, 2, 4 & 5, plus 2 hours of one-on-one recovery coaching with me (virtual or in-person). LEVEL 7) $700-$999: Levels 1, 2, 4 & 5, plus a year of my online eating disorder recovery group! LEVEL 8) $1,000 or more: Levels 1, 2, 4, 5 & 7, plus 10 signed copies of the paperback, and a live Q & A session with me for your group! If you'd like to help even more, please share on Twitter, Facebook, Instagram, Linked-in, and on any other social network or platform that you use. The simplest share makes a big difference! You never know who may need to hear this today. I deeply, deeply, thank you. ***If you donate, please make sure I have your contact info so I can send you your incentives! I will be closing this campaign at the end of March 2019.